Commercial buildings in the U.S. spend over $180 billion annually on energy and consume 47 billion gallons of water every day. HVAC systems typically account for half of overall energy consumption. By optimizing energy consumption in HVAC systems, Optimum Energy delivers electricity savings of up to 50%. You cannot optimize what you do not measure. Optimize systems, not just individual components. If an optimization plan focuses only on installing the most efficient pieces of equipment—without regard to how to maximize performance of the whole system—it will fail to capture the total available system efficiency. Holistic automatic optimization of HVAC systems typically increases energy efficiency by an additional 10%-25% over new equipment alone. Optimization must be automatic, dynamic, and continuous for maximum efficiency. Optimization should be a real-time dynamic process, not a static process. If a plant’s operational control is not based on real-time inputs, it cannot be fully optimized. Optimum Energy’s True Optimization solution is control software that integrates directly with any building automation system to continuously reduce energy consumption. Relational control algorithms calculate the most efficient operation of the system and automatically optimize plant performance in real time. No human intervention is required. 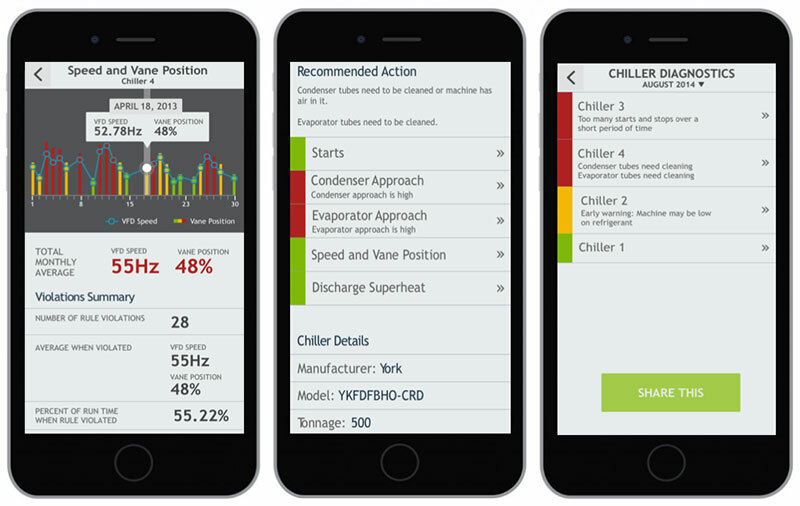 Our suite of visualization tools provides measurement and verification and detailed insights into how systems are operating and what is happening in buildings in real time, and offers a range of solutions for preventative maintenance and climate control. If customers prefer to use an existing dashboard we offer an API to our platform.